Regurgitate by Nicole Morris and Maria de Lima is a podcast produced using the layout of the home as a means to choreograph different works. 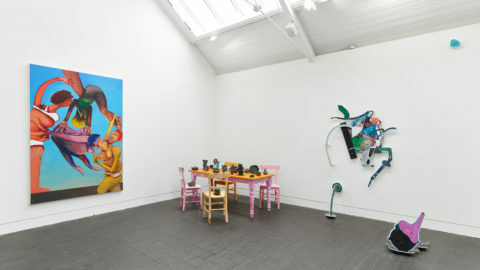 Nicole Morris and Maria de Lima invited eight women (Rebecca Ackroyd, Katriona Beales, Rebecca Bellantoni, Josie Cockram, Susan Conte, Jasleen Kaur and Alberta Whittle) to contribute audio works that each respond to a room in the house. The new and already existing works explore building space through sound and consider acts of rejection, exclusion and convulsion found within the female body. This audio work was broadcast on Resonance FM on 11 October 2018 as part of Survey.